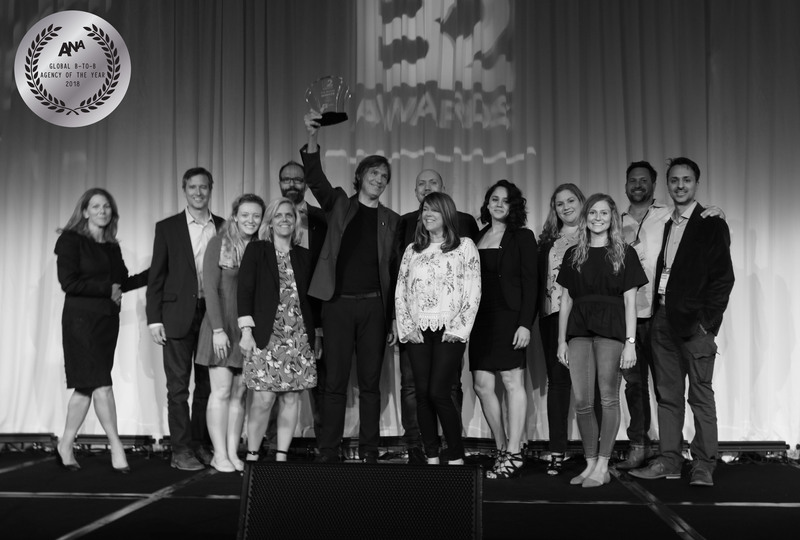 Being named Global B2B Agency of the Year by the ANA is a powerful reminder of the bravery and inspiration of our client partners and talent who continue to push the boundaries in B2B. This is further proof of the impact of humanly relevant ideas. gyro, the world’s first full-service global creative B2B powerhouse, has been named the Association of National Advertisers (ANA) 2018 Global B2B Agency of the Year. This is the fourth time in the past five years that gyro has received this honor. 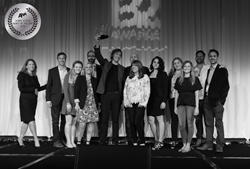 The award was presented at the B2 Awards ceremony in Chicago during the ANA’s annual Masters of B2B Marketing conference on June 6. The night was capped off with gyro Global ceo+cco Christoph Becker being inducted into the ANA B2B Hall of Fame. Bill Tucker, Group EVP of the ANA, said: "For the first time, the ANA convened a grand jury of top corporate B2B marketers and leading creatives to judge the ANA’s prestigious 2018 B2 Awards. They selected gyro as the Large Agency of the Year based upon the agency’s global growth, capabilities, innovation, creative excellence and ability to drive business results for their clients. We are delighted for gyro and for their clients, Hiscox and Grant Thornton, who were also honored as Corporate Marketer of the Year. These honors are a testament to their success and their passion for driving the B2B category forward. We look forward to all of the great things to come from gyro and all of our esteemed winners." The ANA (Association of National Advertisers) makes a difference for individuals, brands, and the industry by driving growth, advancing the interests of marketers and promoting and protecting the well-being of the marketing community. Founded in 1910, the ANA provides leadership that advances marketing excellence and shapes the future of the industry. The ANA’s membership includes more than 1,000 companies with 15,000 brands that collectively spend or support more than $400 billion in marketing and advertising annually. The membership is comprised of more than 750 client-side marketers and 300 marketing service providers, which include leading agencies, law firms, suppliers, consultants, and vendors. Further enriching the ecosystem is the work of the nonprofit ANA Educational Foundation (AEF), which has the mission of enhancing the understanding of advertising and marketing within the academic and marketing communities.